Love Island is back and with it comes another summer of watching preposterously attractive people grind against each other in the hopes of finding ‘the one’. Or, at the very least, a spin-off reality TV show. But you don’t need to go on an island to find love. As the team at U by Uniworld have invented a new way for you to find that special someone – on a cruise. Think of it as a ‘Love Boat’, if you will. They have teamed up with The League, an invite-only dating app, to offer a cruise exclusively for League members this summer (11-18 August 2018). 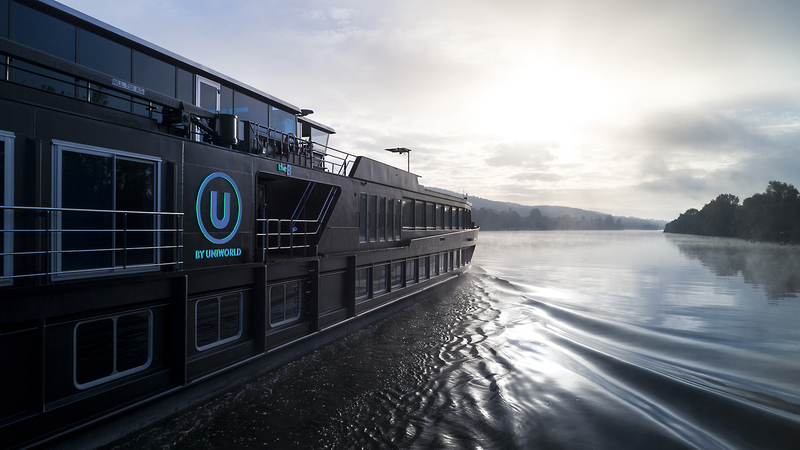 While on U’s ship The B, singles will take part in unique inclusions, such as mixology classes, silent discos, rooftop yoga, wine tastings, farm-to-table dining and more. Offshore, guests will experience some of U’s cultural and, possibly romantic, excursions such as a visit to Versailles, a bar crawl in Rouen, kayaking along the Seine, and dinner and a show at the world-famous Moulin Rouge. “Partnering with The League is an extraordinary opportunity for us to pair our brand with an organisation that attracts a like-minded audience. Similar to U’s audience, they are seeking immersive experiences,” says Chris Townson, U by Uniworld’s managing director. If you fancy getting yourself on board The B in the hopes of meeting the love of your life, then all you need to do is download The League app and message your Concierge #TAKEMETOFRANCE. Or you can go on Love Island. Whatever’s easiest.